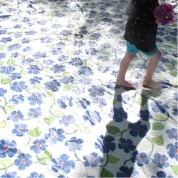 Dr. Onya McCausland is a Leverhulme Early Career Research Fellow at the Slade School of Fine Art, UCL. 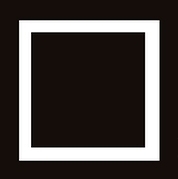 Farafield is a field recording project at the Slade School of Fine Art. Originally set up with funds from UCL Changemakers in 2016-17, fifteen students were given travel awards to help fund a journey for the purpose of making audio field recordings. Join UCL Urban Laboratory for an exhibition of innovative urban research and specially curated events exploring cities from artists, academics and independent researchers. Deep Material Encounters, a symposium which brings together researchers and artists from across the arts and sciences will be held at Clearwell Caves in the Forest of Dean, one of the country’s oldest iron ore mines, on Friday 15th April 2016. 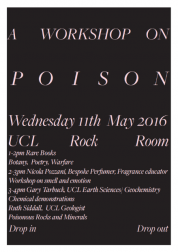 A pop-up exhibition of work, experiments and presentations by students from the Slade School of Fine Art on Friday 13 May 2016, part of the ongoing Rock Room Project. The Pigment Timeline Project is a collaborative, cross-disciplinary research project which investigates and establishes connections between all UCL departments that involve pigment and colour in any aspect of their research. 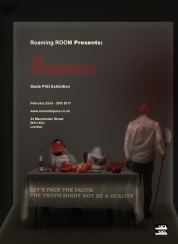 A symposium on the Post-Factual, followed by an exhibition. The Monologue Dialogue series has grown from a British Council initiated and funded residency and exhibition in Bangkok, Thailand. Liz Rideal’s Leverhulme Fellowship entitled Splicing Time focuses on Rome and the Roman Campagna. The Bronze Lab aims to investigate experimental approaches to the use of bronze, explore bronze processes alongside other metal processes and encourage the development of new research projects that may encompass a variety of media and processes - analogue and digital. 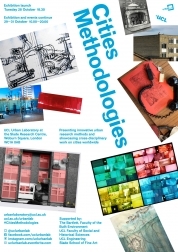 Inaugurated in 2009, Cities Methodologies is a pan-UCL initiative to showcase innovative methods of urban research. The Materials Research Project based in the Methods and Materials Room of the graduate painting area, spearheads the role of materials within the creative process. 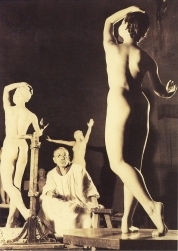 The project asks the question 'What is the relationship between the development of Modern sculpture in the West and Japan, taking the premise that modernization and Westernization are not the same? This is a three-year interdisciplinary project to further research the value of visual images in the diagnosis and management of chronic pain. Funding comes from the Centre for Humanities Interdisciplinary Research Projects (CHIRP) Scheme. SCEMFA is a research group at the Slade School of Fine Art. It opened in 1995 and for the past 15 years has provided the opportunity for leading artists to focus on research into Electronic Media and Fine Art. 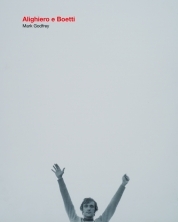 The exhibition, Monologue Dialogue 3, continues an important conversation initiated 8 years ago in Thailand by a group of British and Thai artists. 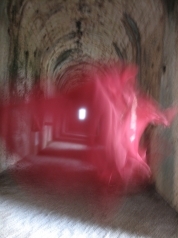 This is a collaboration between The Slade School of Fine Art, UCL and Red House, National Trust. Red House is the iconic home of William Morris - writer, artist, craftsman, socialist and founder of the Arts & Crafts movement. 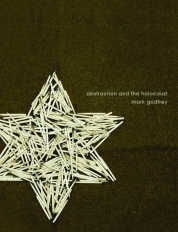 Mark Godfrey’s Leverhulme funded research project looked at the way American artists engaged the memory of the Holocaust resulting in the book Abstraction and the Holocaust (Yale University Press 2007). This grant covered some of the research expenses for the production of Alighiero E Boetti (Yale University Press 2012). 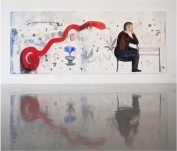 The project considered the status of drawing in relation to its history as a preliminary, or transitional medium. FRAMED took place on 23, 24 and 25 March 2006, organised by Dr Susan Collins, Head of Electronic Media and scheduled to coincide with the NODE.London season for media arts and also to mark the 10th anniversary of the Slade Centre for Electronic Media. TURTLE was a three-day event at the Slade Research Centre, Woburn Square, organised by Dr Sharon Morris, Head of Film and Video and Sean Borodale with musician/artist Anton Lukoszevieze and Michael Shamberg, artist and curator of TURTLE events. This one-day printmaking workshop was organised by Dr Eleanor Morgan, Slade honorary research associate, with the support of printmaking technicians Dave Christopher and James Keith. This network is driven by dialogue: not only between the two principal investigators, but also between generations of artists. Liz Rideal was invited by Professor Gill Perry of the Open Arts Archive to consider recording her views about the nature of creativity and the processes of making art, whilst on a cotton research trip in India funded by the British Academy. In Materialising Time new and innovative methods of visually representing time were explored through a series of Seascapes developed in partnership with Film and Video Umbrella, London and the De La Warr Pavilion, Bexhill. Jayne Parker's objective was to make a group of 16 mm films that addressed the question: can film be a 'musical equivalent'? PITCHAfrica's rainchutes utilize decommissioned military parachutes to create a remarkably simple solution to providing access to water at home for millions. 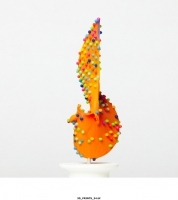 This research project explored how digital methodology aligns itself with the tradition of sculpture and how these notions effect an alternative methodology to the materiality of a sculptural tradition? This investigation aimed to contribute to our understanding of how global communications systems like the worldwide web are transforming the way we perceive the world around us. Sound box is a an archive of sound and performance works from the Slade School of Fine Art.